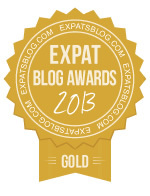 ExpatsBlog.com Expat Blog Awards 2013: Australia Gold Award! This blog won the Gold Award for best expat blog in Australia! Beautiful pictures, witty words, very educational, and a great way to make friends left behind in the other hemisphere feel connected. One of my most frequented blogs. Such interesting reading. I feel a real kinship with the author. Through her blog I feel I have really gotten to know her and her family. My Dad spent several years in Australia as a young man, and I have always been interested in what that must have been like. This blog has given me the opportunity to experience Australia. I have loved reading this blog and seeing the beautiful photography. I find this blog fascinating. I love the photography and I'm always happy to see a new post. It is very interesting to hear about life on the other side of the world! The photographs are absolutely beautiful and I can't wait for the next entry. I always look forward to each blog in this series. Christie writes about the little things in life and makes you realize how important they are in the big picture. Her writing style is spot on and her accompanying photos are always beautiful and well thought out. I've come to know much about Australia and her family life through this blog and I appreciate every entry. I truly enjoy this blog, learning about life in Australia and the difference from life here in the States. Christies writing is descriptive and informative with a wonderful splash of humor mixed with thoughtful insights. A big plus is the fantastic photography. It just might make me want to take the arduous journey to the opposite underside of the world! I love reading everything on this blog! It is the way I get to see and learn about Australia. From the UK I have followed Christie's blog almost daily and feel privileged to experience everything through her eyes.At times overwhelming, that it can all relate to one wonderful family.She succeeds by far. I have thoroughly enjoyed Christie's blogs over the last few years. It helps make her time away from us a little less painful, not to mention the wonderful education I have received about Australia from her recounting of their family's very interesting experiences while there. The accompanying photographs are truly amazing works of art! I always eagerly await the next entry! We have followed these blogs right from the start of this family's experiences in Australia. Christie has done her best to help her children and husband to adjust to a different way of life by being so positive about the whole ordeal. We have learned so much from her in this regard and many things about that country besides. Christie has a wonderful way of expressing the ups (and downs) of everyday life in Australia. Accompanied by beautiful photographs her experiences truly come to life in a humorous and thoughtful commentary. I look forward to each new entry and am never disappointed. This blog is a fascinating account of what it's like for a family to live in a different country. It's beautifully written and the photography is superb. Christie has seen and done things in Melbourne that I haven't - and I have lived here much longer than she has! Christie's blog has taught us so much about Australia. The exceptional beauty of the country, captured by her camera, and her dialogue on her and her family's life "Down Under" have kept us interested and always waiting for more! I stumbled across this blog a year ago while searching for the best place to buy a turkey in Melbourne for Thanksgiving. I have been enjoying all the wonderful posts since. Quality writing, beautiful pictures. One of my all time favorite blogs. I love reading Christie's impressions of life in Australia. Her descriptions are wonderful, her thoughts are insightful and her humor is gentle and hilarious at the same time. I am a reader; I read all kinds of books, articles and blogs. I am rather picky about what I would call "good writing." I can say without reservation that Christie is a wonderful writer! Very enjoyable and well written blog with lovely photographs to add to the interest. Have come to thoroughly enjoy this blog of an expats perspective of our country and state. From the initial conundrums of coffee culture in Melbourne, to the real life adjustment of day to day life down under with a family, along with fantastic photography, the blog is a great read for different perspectives and experiences of living in Australia. Enjoyed this blog very much But no explanation of why finishing up and/or goodbye ?